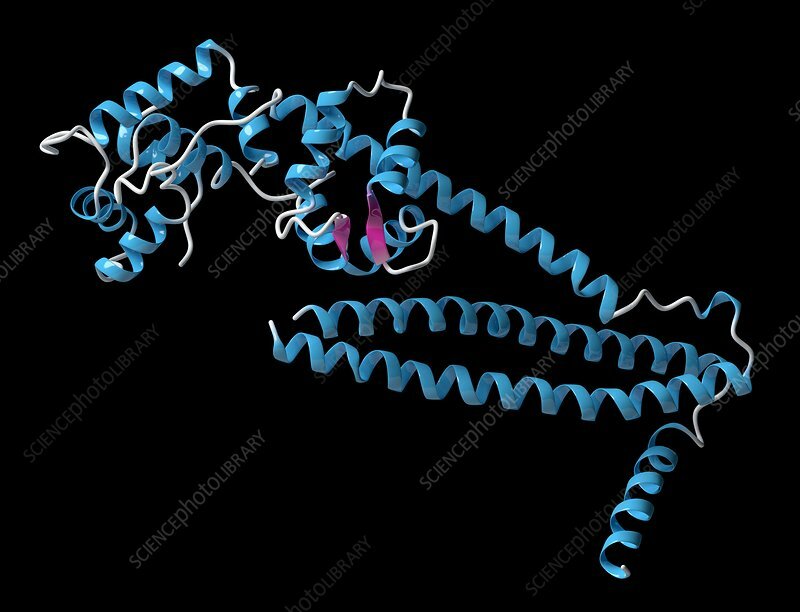 Structure of the human cardiac troponin core domain. Composed of three subunits (C, T and I). Cartoon model, secondary structure colouring (helices blue, sheets pink).